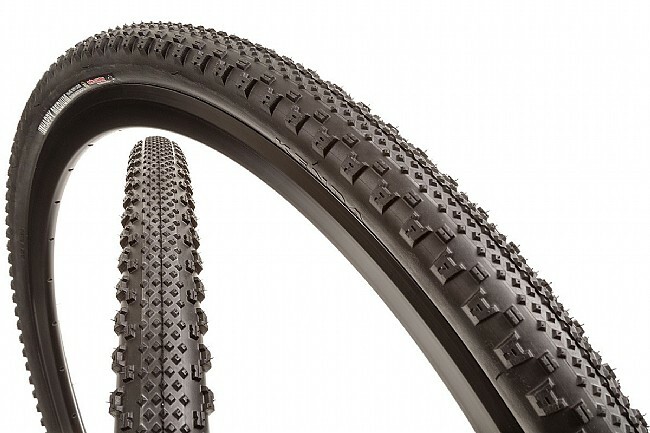 The Kenda Happy Medium 24" Cyclocross Tire delivers a dual threat cx or gravel tire. Made for attacking dry hard pack or grassy surfaces, the Happy Medium features two tread patterns to get the most out of a single tire. The center of the tire has a file tread for quick rolling speed, while the shoulders have more aggressive knobs to maintain purchase when turning. This combination of low rolling resistance and cornering control should make dry cyclocross courses your playground, not to mention paved or unpaved roads.